An even stronger Elma Instruments! Elma Instruments is now a part of Scandinavias largest industrial group – Indutrade. For you as a customer it is business as usual. 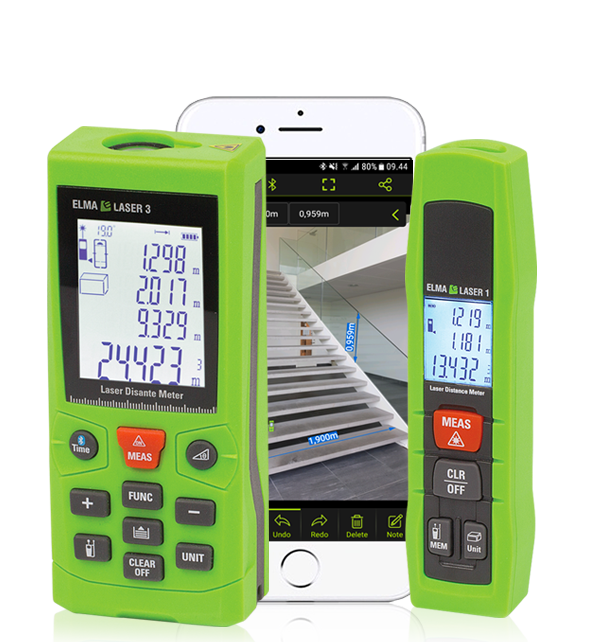 We now introduce Elma Laser – a series of smart distance meters focusing on ease of use, with built-in Bluetooth and free APP for both Android and iOS. VoltStick® – The Original and best just got better! It’s not just for looks! As you might have noticed, if you have visited us before, we have redesigned our homepage. But it is not just for looks. Far from it. First of all there is the responsive design. So no matter what platform you are on, you should be getting the best possible experience. On top of that we have done our outmost to make it easy for you to search for information as well as find and download manuals and documentation. Last but not least we have made it possible for you to do your shopping directly from the site. We welcome you to this all new Elma Instruments experience. Visit the Danish site to see the full product programme. Visit the Norwegian site to see the full product programme. Visit the Swedish site to see the full product programme.